Square Enix has released a new trailer of Final Fantasy Type-0 HD from the Jump Festa 2015. On the official Final Fantasy Facebook page Square Enix has revealed today the Tokyo Game Show 2014 trailer of Final Fantasy XV from a few months ago with English voices. Featuring illustrations by world-renowned artist Yoshitaka Amano, this premium case holds both the game and soundtrack CD. Includes 15 tracks hand-picked by the game's composer, Takeharu Ishimoto. A complete 200 page manga comic establishing the world and characters of the game. Dive into the war-torn land of Orience through its illustrations and art renders. Five life-size replicas of the iconic cards held by Class Zero's Ace. 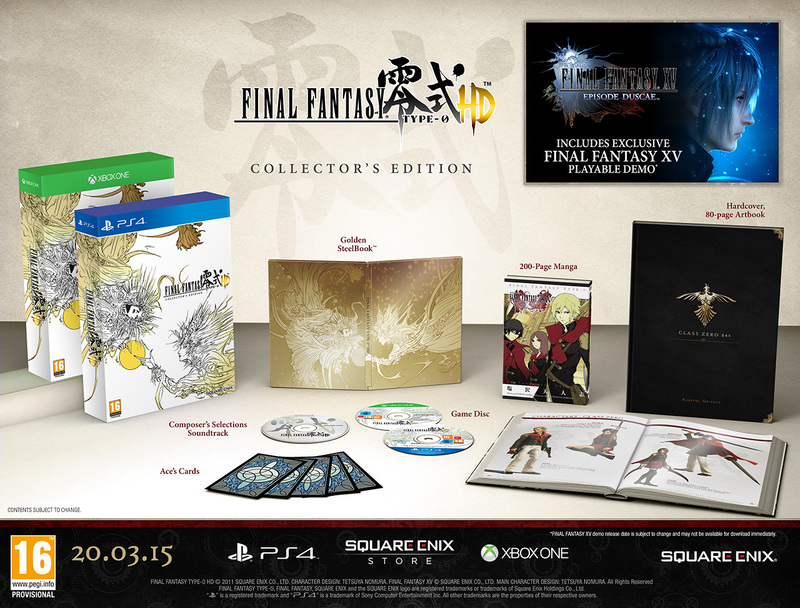 Every copy of the Collector’s Edition includes a code for the Final Fantasy XV playable demo. Final Fantasy Type-0 HD will be released in North America on 17 March 2015, in Japan on 19 March 2015 and in Europe on 20 March 2015. 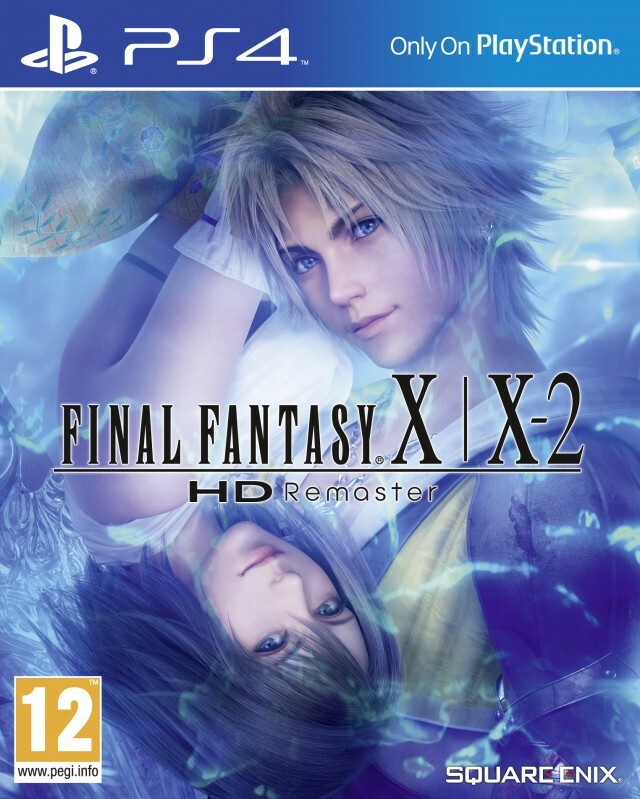 At the beginning of this week Square Enix France made a mistake by showing Final Fantasy X/X-2 HD Remaster for PlayStation 4 in their store. After it was discovered by various websites, the page was removed. Now it has been confirmed by Square Enix during a press conference in China that the game will be coming to PlayStation 4 this Spring. It will be available as physical copy and digital download for $49.99/£39.99/€49.99. During the PlayStation Experience keynote Shinji Hashimoto, producer at Square Enix, announced that the 2012 pc port of Final Fantasy VII will be released on PlayStation 4 this Spring. Well, this was kind of a disappointment ... We already can buy the game on PSN (PS3, PSP, PS Vita), SE Store and Steam. Kotaku has called this 'proberly the worst troll in recent video game history'. It's been 20 years since the launch of the original PlayStation, which was released in Japan on 3 December 1994. Sony has questioned around 10,000 gamers in Japan what their favorite game is in PlayStation history and which game should receive a remake. What is your favorite PlayStation game? Japan is the home of the RPG's, that's for sure. Dragon Quest V is their favorite with Final Fantasy VII closely second. What I do notice is where is Final Fantasy VI? And why Tetris? Strange folk. Which PlayStation game should receive a remake? 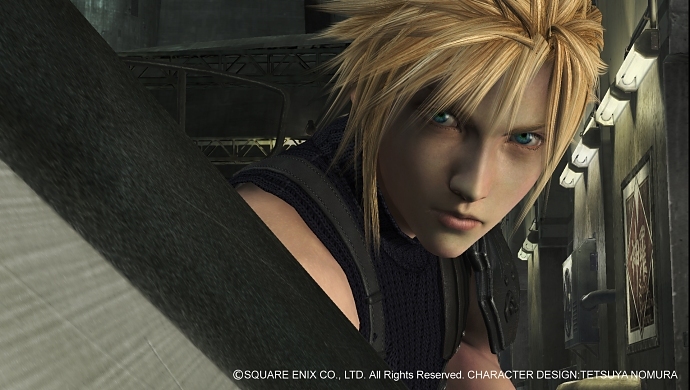 It's no suprise that Final Fantasy VII is at the top of most wanted remakes. What I notice is why are games like Final Fantasy X, Kingdom Hearts and Kingdom Hearts II listed? They recently received a HD upgrade on PlayStation 3.